Today on the Think Tank, we're walking through the process of modifying two water storage tanks to provide up to 1.8 million gallons of additional capacity for a Pennsylvania water district. Don't miss the time lapse video below! How To Manage More Water Storage? You'd think 2.1 million gallons of water would be enough. For anything. But for one Pennsylvania borough', the need for water was outpacing their capacity to store it. They had a great water storage facility, with TWO 2.1 million gallon water storage reservoirs. 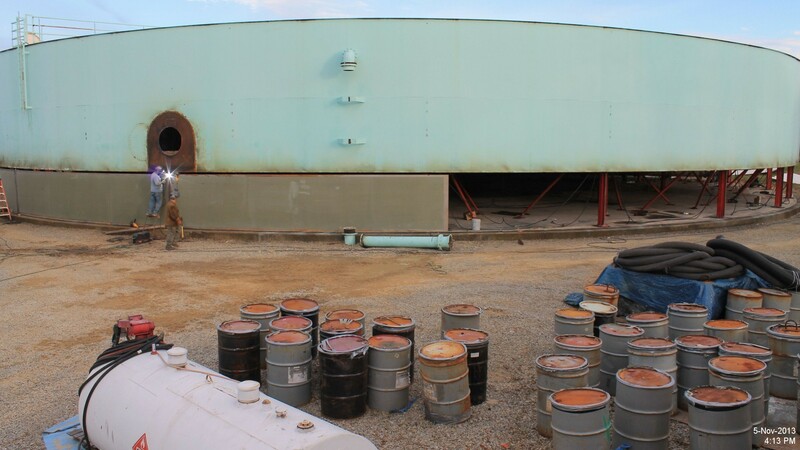 Aside from needing a fresh coat of paint, both tanks were in great shape and were serving the water district very well, but as the community grew, more water storage would be needed. Building an additional storage tank presented more than one problem, including space (where would the new tank go?) and expense. The existing tanks were already operating in the water system, and all their infrastructure was already in place. 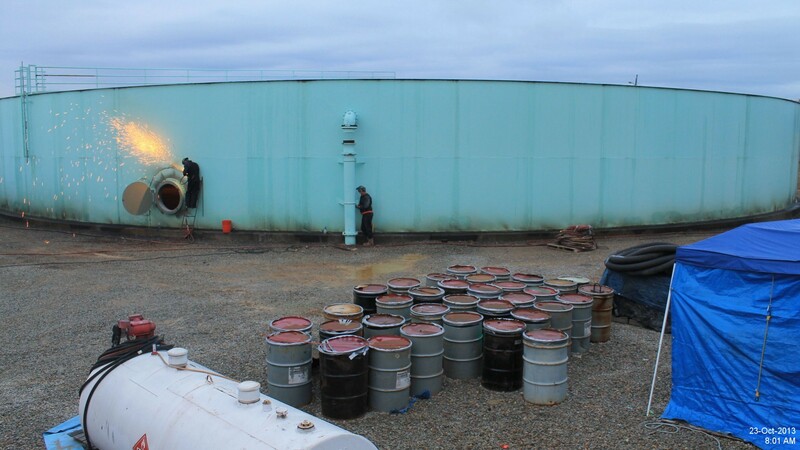 The utlity's painting contractor (JPI Painting) worked with a tank builder (Fisher Tank Company) to develop a plan to maintain the footprint of the tanks and all the existing infrastructure AND add a combined 1.8 million gallons of water storage for the borough. The twin reservoirs would be expanded, adding 900,000 gallons of storage capacity to each tank. How would this be achieved? With tank know how! The first step was to prepare the 2.1 million gallon water tanks for the expansion project. The work was performed one tank at a time, while one tank was out of service, the water was stored in the other tank. Once emptied, the tank was prepped for the tank expansion project. The tank shell was cut away from the tank bottom, and the exterior components like the manway, the ladder and the overflow pipe were removed. 45 jacks were used to raise the tank shell up off of the foundation. With the 160' diameter tank shell lifted just over six feet off of the foundation, a new shell ring (six feet tall) was installed. Inside the tank, the 19 columns supporting the tank roof were getting some attention too, including new column pads and six-foot extensions. After the shell plates were hung and welded into place, the new ring was welded to the tank bottom and the existing tank shell was lowered into place. A new door sheet and manway were installed. The new shell ring was welded to the old shell ring, and the tank was once again a monolithic water storage structure! Although the tanks were built according to AWWA standards, the tank modification work was performed according to the API 653 standards for above ground welded steel tank repair. The methods used to expand the storage capacity of these reservoirs could be applied to API 650 storage tanks as well. 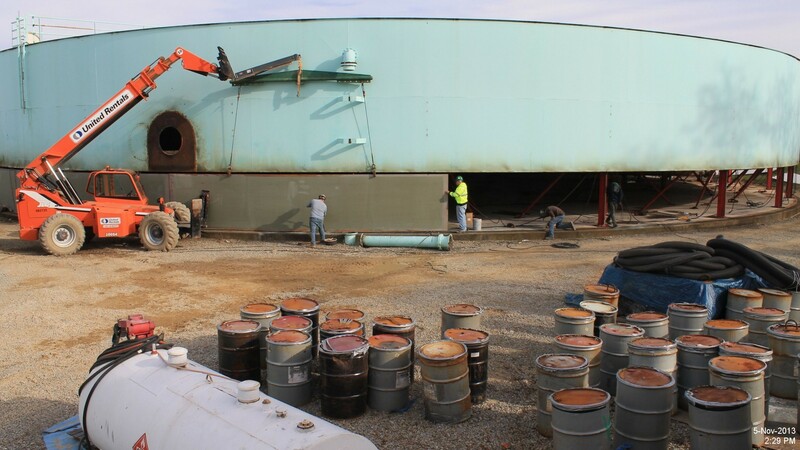 Once the first tank's capacity expansion was completed, the tank recieved a new paint job from JPI with a Tnemec coating system. When the tank was ready to be put into service, the second tank got the same treatment. Today the water district has over 3,000,000 gallons of capacity ready to meet its water storage needs for decades to come. Want to SEE this project? Click here to see the time lapse video of the tank jacking and expansion project. 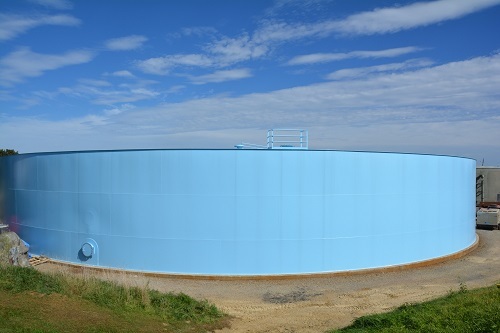 Want to know more about Water Storage Tanks & planning for tank construction and repair projects? Check out our free resources!